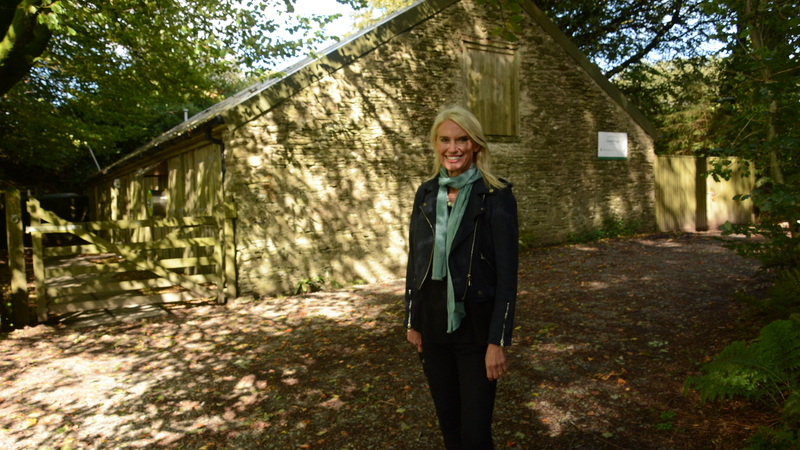 Calvert Trust Exmoor welcomed TV host Anneka Rice back to the centre last week to celebrate the 25th anniversary of the opening of the boathouse that was constructed by the Challenge Anneka team in 1993. The ‘Boathouse’ episode of the popular 90s television show, which was aired on BBC One, saw the indomitable television presenter and her team challenged by two West Buckland School pupils to convert a derelict cattle barn into a fully-accessible boathouse within just two days. 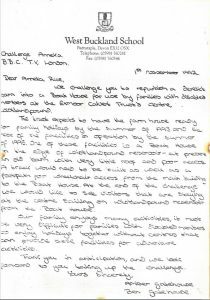 Siblings, Ben and Amber Gatehouse from North Devon wrote to the BBC television programme in 1992 to appeal for the new boathouse facility, including critical improvements to access so that anyone with any disability could get out onto the lake and go sailing. 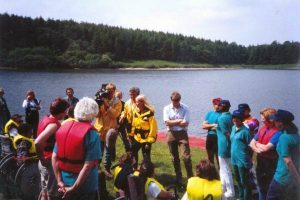 Hampered by Devon’s typical heavy downpours and patchy phone signal, the 72-hour construction challenge made for edge-of-seat viewing as the team approached the deadline and completed the project just in time to celebrate with a regatta on Wistlandpound Reservoir, where the Boathouse remains in service today. 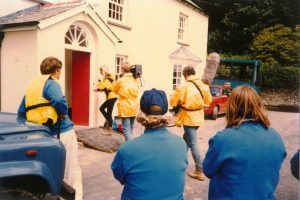 September 2018 marked exactly 25 years since the first broadcast of the boathouse challenge, the results of which have stood the test of time and remain in full use today. 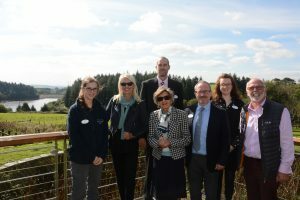 Ben and Amber, who still live locally, have both spent time volunteering at the Calvert Trust and also completed their Gold Duke of Edinburgh residentials with the charity. 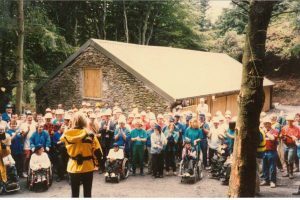 There are several calls across social media for the task-based 90s television programme to return to our screens.